You are bidding on a brand new wig made from premium quality synthetic fiber Modacrylic. Available in over 20 colors. 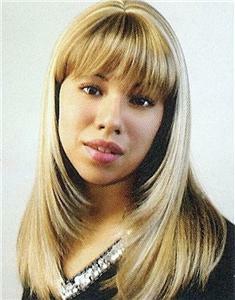 Long straight wig w/ layered sides & bangs; partial skin top.